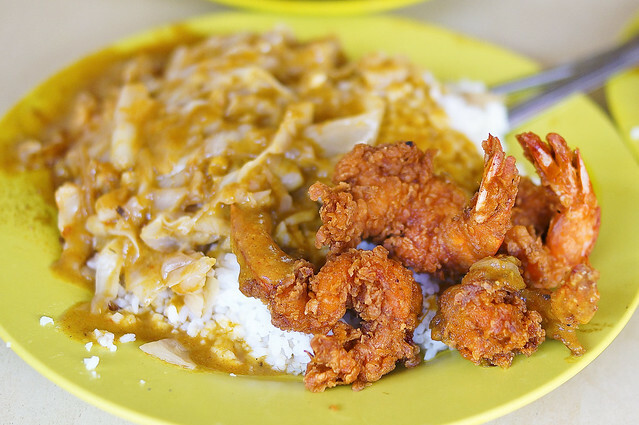 Loo’s Hainanese Curry Rice needs no introduction for all Hainanese Curry Rice lovers. 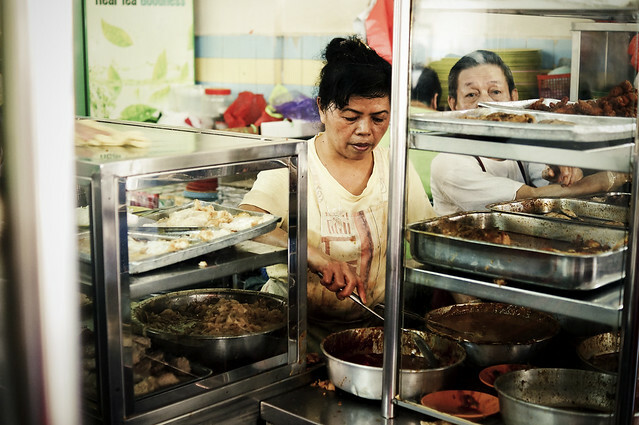 Loo’s, one of the most well-known and popular Hainanese Curry Rice vendor started its operation since 1946. 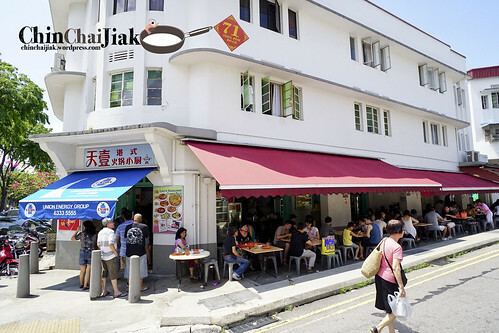 It was situated opposite Tiong Bahru Market and it just moved to a new location not long ago at Seng Poh Road. I reached there on Saturday 12pm and the queue is already crazily long. You don’t see such queue even at the cafes along Keong Saik road. 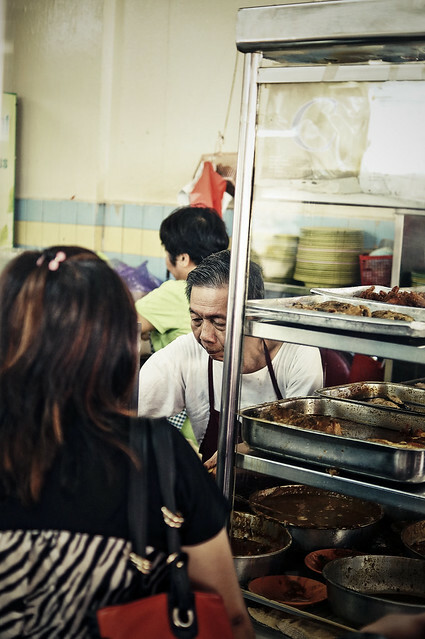 It seems like our local dishes still have their charm over the recently booming cafe culture. Unlike Beo Crescent Curry Rice, Loo’s Hainanese pork chop is crispy, but not as crispy, but it manage to retain it’s crisp even when it’s cool. The pork chop is rather thick and you get a good crunch with every mouthful. Like a traditional Hainanese pork chop, it’s drizzled with a light tomato gravy. The pork chop is well flavoured and marinated. Most importantly, It is not greasy, and it’s not hard to understand why every table has a portion of their pork chop. This is apparently another favourite. 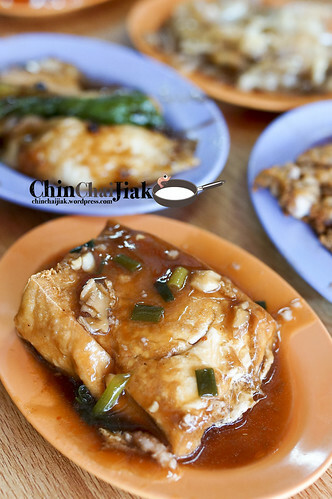 The tofu is lightly fried to brown and is accompanied by a good serving of meat sauce. 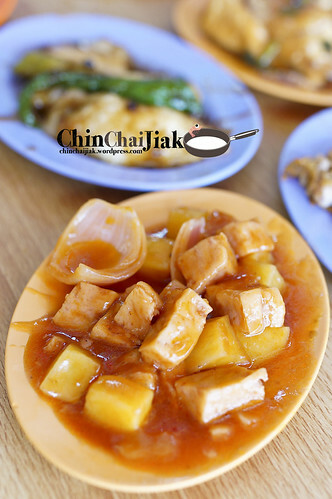 Unlike some tofu that has a strong and unpleasant bean taste, Loo’s tofu is very sweet and smooth and is especially good when it goes with the meat sauce. A good amount of sesame oil is added to enhance the fragrance and the rich and salty nature of the sauce added a good flavour to the tofu. 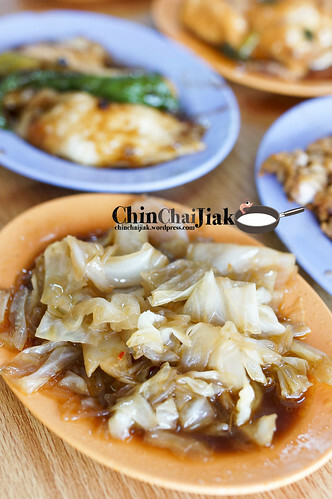 Braised cabbage, the spirit of Hainanese Curry Rice, is really simple without any fancy sauce. This cabbage is cooked till the appropriate softness and Tang Hoon (glass vermicelli) is added while it absorbs the braised sauce. It’s not overly soft nor tough and it’s a dish whereby one get to enjoy the natural sweetness of the cabbage without the sauce overpowering the main lead. This dish is not fantastic by itself though. This dish is not special in any way but it tasted really homely. It tasted like a dish from my primary school canteen which is mostly made up of bottled tomato sauce. It’s definitely not something a ketchup/tomato hater will like. The braised pork belly was sold out and while I was pondering what to order, the auntie recommended this Yong Tau Foo and said it’s “Ho Jiak” (taste good). So I went along with it and I love it. 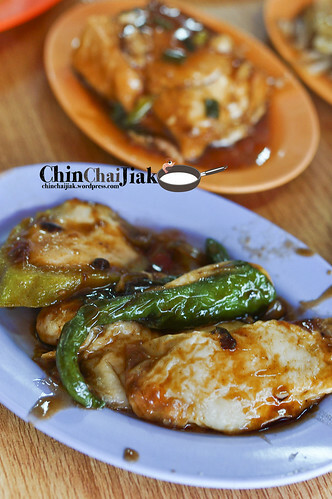 The green chilli, bitter gourd, wrapped fish meat is coated with thick salty black bean sauce and it gains my favour instantly. And finally, my review for the curry rice. At first mouthful, i thought their curry is more salty than any others and is more sweet than spicy. I was anticipating the curry flavour but the fragrance of their curry only comes a little while later. I thought the curry fragrance is not strong enough but still ok as it gets a little better with every mouthful. 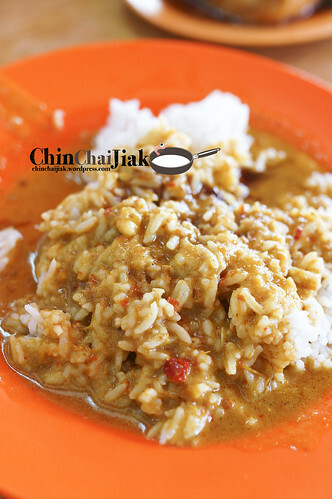 Comparing to Beo Crescent Hainanese Curry Rice, i prefer Beo Crescent’s curry a little more. Guess the price of two rice, pork chop, Yong Tau Foo, luncheon meat and potato in tomato sauce, braised tofu and braised cabbage? $9.00. Isn’t that quite reasonable? Although i prefer Beo Crescent’s curry and pork chop, i like the rest of the dishes better and thought they taste better in general. It is a tough choice between the two but i think i will choose Beo Crescent Hainanese Curry Rice. For friends who wish to find a nice air con place to chill after a sumptuous lunch at Loo’s you may want to consider visiting Drips Bakery Cafe that is only around the corner at Tiong Poh Road. Operating Hours: Daily: 6:30 till sold out (At about 3 or 4pm). Closed on Wednesday. I had heard people raved about this curry rice that is situated in the neighbourhood of Beo Crescent. You can easily spot this place by looking out for a long queue forming outside a coffee shop. 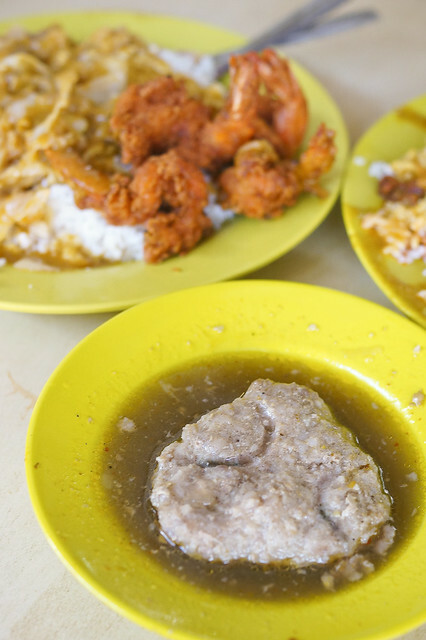 The old school stall has no sign board and everyone calls it the Beo Crescent Curry rice. TheM 67 years old boss opens his stall early in the morning before the sun rises and closes his stall when most of this dishes are sold out at about 3 to 4pm. 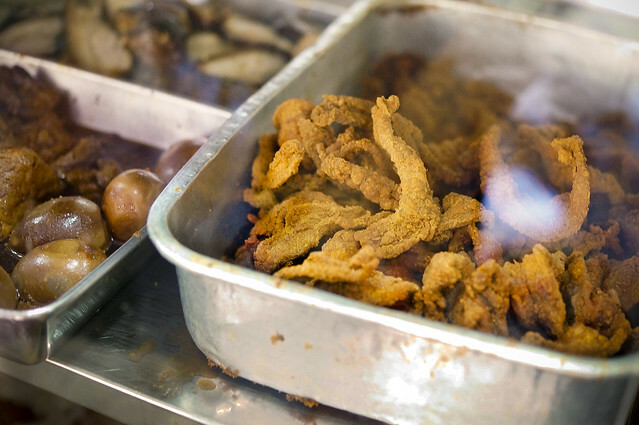 Their famous pork chops are on the must-try list of every foodie. Remember to order the Pork Chops separately so that it will not be soaked in the curry sauce. Oh god. This Beo Crescent Curry Rice Pork Chop is indeed crispy! If you prefer your pork chop to be slightly thicker and a little bit more chewy, like Scissors Cut Curry Rice Pork Chops, you may not favour this. But for me, this is what makes their pork chops unique. Beo Crescent Curry Rice pork chop easily found itself into the must-order list for my next visit. I think the secret to the crispiness is the method of preparation. 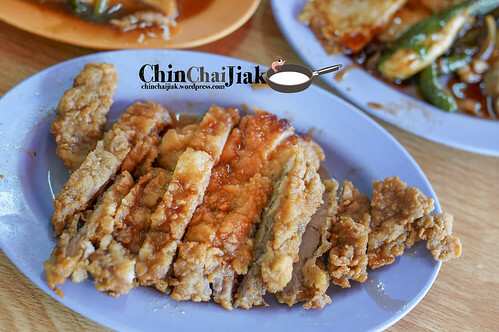 The pork chops were sliced into small and thin slices and coated it with a generous amount of flour mixture and logically, with that amount of flour coating, it should make your pork chops really crispy. 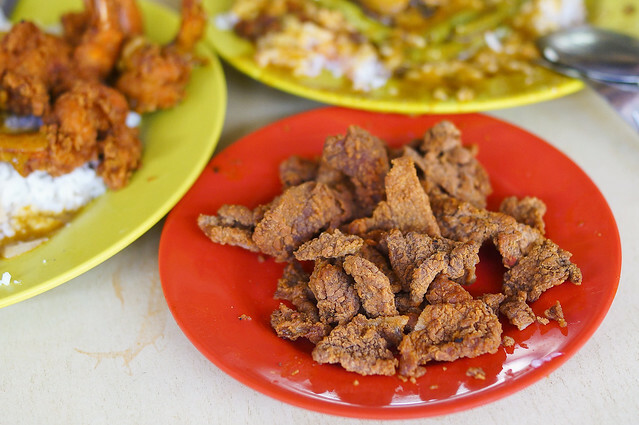 Basically the marinate and the flour coating taste very similar to the the pork chops and is not difficult to guess the texture too. Yeap. Crispy! Except for the tail, the other parts of the prawn were deshelled which makes it easy for diners to feast on them. The prawn is definitely not overcooked and i can taste the freshness of the prawn. The pork belly is well braised and the fatty portion comes off easily without much effort, but not to the extend to melt in your mouth. 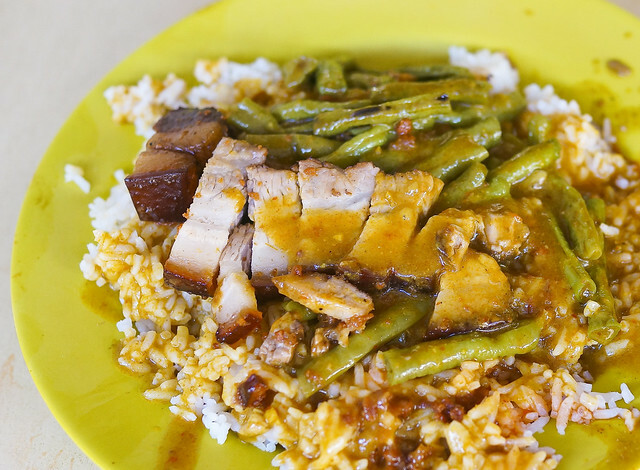 What is a Hainanese Curry Rice without braised pork belly? The dish taste rather decent, Ok and probably should be the dish for me if i want to have a healthier meal. The unique thing about the Beo Crescent Curry Rice’s version is the slight difference in texture compared to the ordinary minced meat patty. They minced the meat till it’s really fine that you almost can’t taste the fiber of the meat. Just imagine a giant pork ball but much softer. This dish is a little bit salty for me and I will leave my stomach to try other dishes for my next visit. 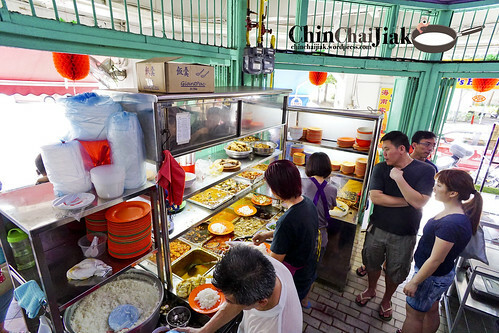 Like most of our hawker centres or coffee shop food, apart from cheap and good, it’s still cheap and good! I ordered two plates of rice, one with pork belly and long bean, and the other one with cabbage and fried prawn, and ordered a plate of pork chops and a portion of minced pork patty and it cost me for S$9.50. How good is that? Despite having 20 people in the queue and waiting for about 20 minutes during lunch time, it was well worth it. 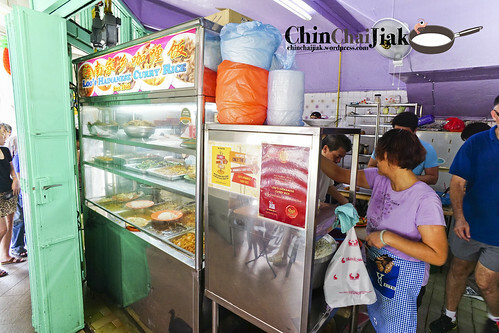 This stall was around since 1990 and I heard that the children of the stall owner has no interest to take over the stall so it’s a pity that such a traditional hawker stall will no longer be available in the near future. Be sure to pop by and try it out soon!